These days, terms like content marketing, digital marketing and offline marketing, get thrown around a lot. The objective of marketing is the same no matter what form it takes. The idea is to promote your event, product, service, or project to a specifically defined group of people. These people are sometimes referred to as target customers or avatars. The end goal of marketing is to get your target customers to take a desired action. You’re trying to get them to buy a product, attend an event, join a mailing list, or otherwise. If the end justifies the means, most marketers would consider their campaign a success. This isn’t to suggest that they break rules or go against their conscience to get the sale, but it’s fair to say psychological triggers are liberally employed with most professional marketing efforts. There’s usually a reason why you and I buy the products we do, go to the movies we go to, eat the food we do, and so on. It’s a byproduct of marketing. Marketing happens both offline and online. Here’s what you need to know about each. Should Musicians Be Considered “Local Businesses”? What Does Offline Marketing Look Like For Musicians? 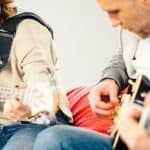 What Does Online Marketing Look Like For Musicians? 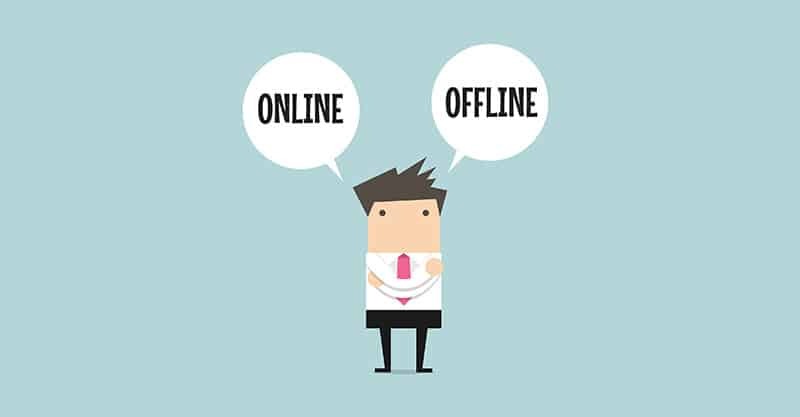 How Can You Combine Online & Offline Marketing? 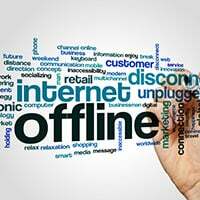 Offline marketing basically refers to any marketing that doesn’t occur on the internet. Even digital marketing can sometimes fall under the category of offline marketing (i.e. the use of advertising on TV screens), which may seem confusing at first. All this means is there’s a difference between digital and online marketing, though sometimes they can be the same thing. 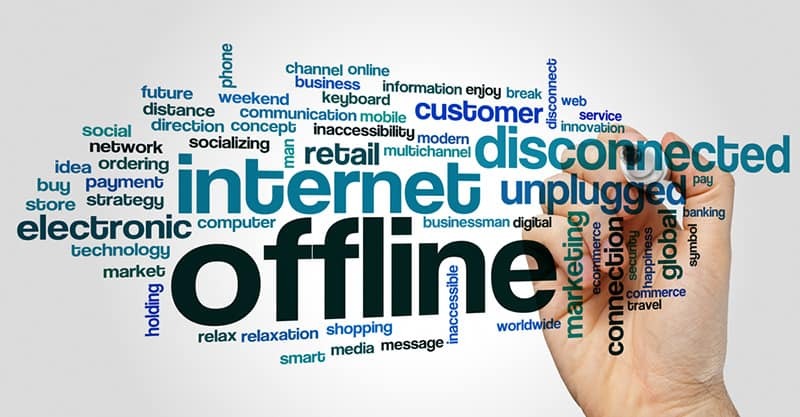 When I think of offline marketing, what immediately comes to mind is traditional marketing in the form of radio, TV, newspapers, magazines, direct mail, print, and so forth. These are all examples of offline marketing channels. Marketing is often happening without you even noticing. You could be looking at a sign, a billboard, or an invoice, and you’re probably at effect of some form of marketing, because you’re seeing a company logo, a website address, the daily special, or something else. Whether you buy as result of seeing this marketing is not always a major consideration – every marketer knows they can’t convert 100% of prospects into customers. Only a percentage of people who see the marketing ever do. Thanks to the internet, reaching a global audience has become considerably easier. But this does not make offline marketing irrelevant. These days, you can even combine online and offline marketing in interesting ways. Think of local businesses. While there is considerable benefit to a restaurant, retail store, hotel, or a gym building an online presence, they’re mostly trying to attract a local audience on any given day. Global audiences cannot come to their place of business on a regular basis – only when they happen to be in town. But even local people search for places to go in their hometown, so being online is just smart for business. This means offline marketing can be quite effective for local businesses – signs, brochures, flyers, and so on. This type of collateral is not going anywhere any time soon. Musicians often go on the road and play to various audiences, depending on what regions they are popular in. But where do they end up after going on tour? Home. Your home base is important. Many musicians begin their careers by building up a fan base locally before expanding out into other markets. Because of the internet, many musicians can appeal to – and often find – fans from across the globe, even early on. This is why having an online strategy is important. Naturally, you don’t want to limit yourself to a local audience, unless you happen to be in the type of band that only plays for a specific audience or at specific events (i.e. church bands/worship teams). But highlighting the towns or cities you serve as a band is not a bad idea, especially on your website. If someone was searching for “rock bands in Chicago”, for instance, and you targeted “Chicago” as a keyword, you might pop up in the search engine results. This isn’t necessarily how fans find bands. But sometimes event organizers and venue owners do. The point is that if someone comes to your website and reads about you, and you’ve included the right keywords in your text, they can get a sense of where you’re located and active. This doesn’t limit you to always playing in your own hometown – it just gives visitors more context about who you are. As a musician, you are not a “local business” in the strictest sense. You probably don’t have a storefront or physical location set up. You don’t just serve local customers, because you probably hope to build your fan base far and wide, across the world. But just like a local business, you would use both offline and online marketing to your advantage. You would try to appeal to local venues and event organizers, especially early on. And, you would likely try to build a local fan base, unless you’re located in the middle of nowhere. So far, I’ve only looked at marketing from a broader perspective. 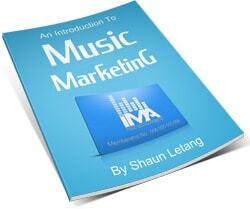 So, I would like to explain how you can use offline marketing to benefit your music career. Here are some of the more common forms of offline marketing for musicians. This does not mean that other methods cannot be used to build your career, and this list should not be considered comprehensive. One of the most powerful ways to make fans is to perform for listening audiences. If people enjoy your live show, there’s a good chance they will like your recorded music and will even start following you around town. Posters are still a popular way to raise awareness for events. Flyers aren’t as common, but many musicians still use them to promote their shows. In my experience, it’s hard to attract people to your shows if they don’t already know who you are, but that’s not a reason not to try. When fans purchase and wear your merch around town, they essentially become walking billboards for you. Merch isn’t just a revenue source – it’s an excellent marketing tool too. Many venues still use signs and billboards to promote upcoming acts at their place of business. This can help with name recognition and attendance. While generally expensive, you can place ads in newspapers, magazines, community newsletters, and other publications to promote your event, release, and anything else you might want to. Being played on the radio can help you get your music out to hundreds and sometimes thousands of people at a time. You could also place a radio ad, be interviewed on the radio, or help the station by recording a bumper for additional exposure. You don’t see as many music videos on TV as you used to, but video is an incredible marketing tool. There are also other opportunities with TV – advertisements, show appearances, the news, and so on. Guerrilla marketing typically involves low-cost methods that catch people off guard. For instance, you could make a surprise appearance on the street and perform a few songs for onlookers (note: If you’re going to try this, please do so without getting in trouble with the authorities). Online marketing refers to any marketing that happens on the internet. These days, this encompasses a wide range of methodologies, from social media and content marketing to email and search engine optimization (or SEO). Sure, many companies still make cold calls and sell aggressively, but the ones that know what they’re doing take time to add value and learn about their prospect before delivering a pitch. Some businesses are slow to adopt online marketing, but there are very few people or businesses that can’t benefit from building a proper online presence. As marketers, we have yet to arrive on a consensus as far as online marketing terminology is concerned. For instance, you might hear people talking about inbound marketing, whose definition isn’t that different from content marketing. So, what’s important isn’t what something is called. What’s important is that you use the right channels to promote your music. Every musician should have a central place their fans can go to learn about them, buy their merch, keep up with the latest news, and so on. Unlike your social media profiles, you own your website, making it one of the most valuable online marketing tools there is. Social media is another popular marketing channel for musicians. Sites and mobile apps like Facebook, Twitter, and Instagram are incredibly popular, making them good places to get the word out about what you’re doing. Every musician should be building their own email list. Email is a great tool for marketing your music and staying in touch with your fans. Use a tool like MailChimp to capture and manage your email list and send campaigns to them. Online advertising takes many forms, such as display advertising, pay-per-click advertising, social media advertising, and so on. The idea is to pay for exposure. These days, you have quite a bit of control over your budget and targeting, making it an especially effective way to market one’s music. You could start your own blog, get your music reviewed on a blog, get interviewed for a blog, be featured on a blog, and more. As with blogs, you could start your own podcast, or appear on someone else’s. People’s current audio listening habits show that the popularity of podcasts are going to continue to grow for years to come. Video is an effective marketing tool whether online or off. There’s a good chance you already know about YouTube, which is the most popular social network and video sharing site on the internet. If there’s anything music videos have shown, it’s that music and video go together like bread and butter. 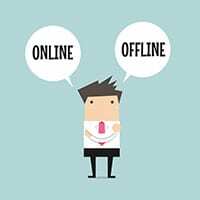 Online and offline marketing can easily be combined to complement or enhance each other. You can use your print material (business cards, posters, flyers, and so on) to promote your website and social media profiles. You can use your website to promote your shows and your physical merch. You can let people know where they can find your music online at your shows (i.e. Spotify, iTunes, Amazon, etc.). You can email your fans letting them know when and where your CD release party will be. There are so many other ways to combine your online and offline marketing, but don’t get carried away with advanced tactics until you’ve mastered the basics. A great marketing strategy will not turn bad music into good music. Simultaneously, a bad marketing strategy will not help you get your music out into the world, even if it’s great. As a musician, it all begins with the craft of writing great songs and becoming a skilled vocalist and/or instrumentalist. 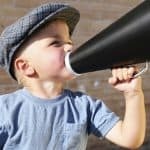 Without that, you have nothing to promote, and dedicating a lot of time to marketing simply wouldn’t be productive. As a musician, both online and offline marketing strategies should be employed. I don’t recommend doing too many things at once, because it can water down the effectiveness of the various channels you’re using.